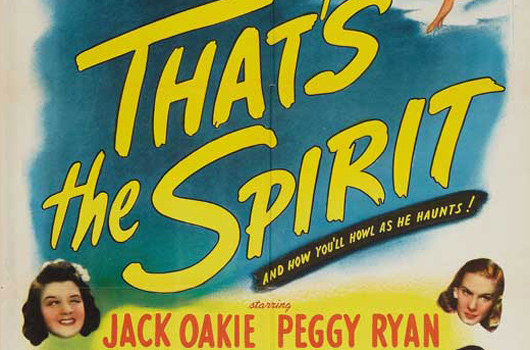 Universal’s moving and amusing ghost story That’s the Spirit was released on the 1st of June, 1945. Directed by Charles Lamont, the story centres around a vaudeville performer (Jack Oakie) who gives up his life for that of his wife (June Vincent) as hers totters in the balance during the birth of their daughter. He then spends the next fifteen years begging to be sent back to Earth to mend her broken heart. Sentimental, funny and musical, the film features an exceptionally moving performance from Oakie as well as a rare but fine talkie performance from Buster Keaton as the heavenly bureaucrat.